Join us Saturday, April 27 for Champions Day at Sha Tin Racecourse, featuring the best horse in Hong Kong. 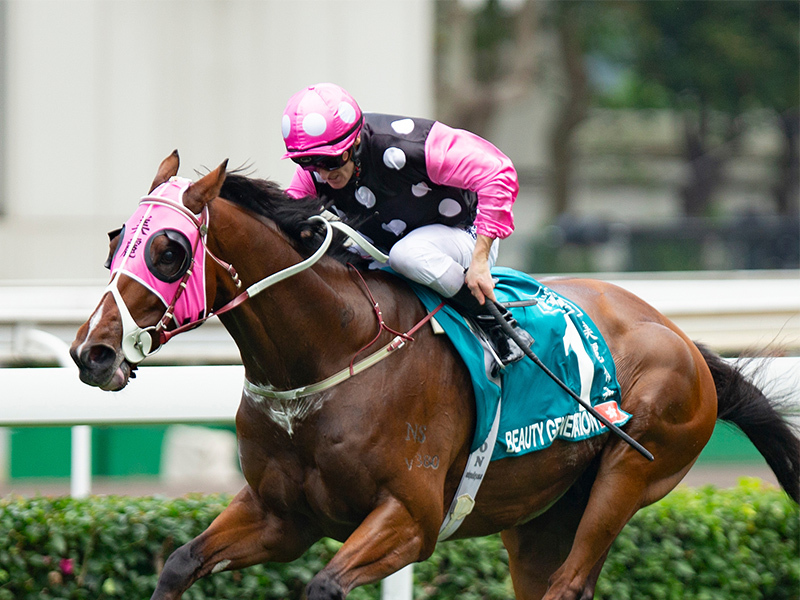 Hong Kong’s top-rated horse, Beauty Generation, is among the contenders for the FWD Champions Mile, while big fields are expected for the FWD QEII Cup and the Chairman's Sprint Prize. Bet Champions Day with Xpressbet to receive 10X XB Rewards Points for the entire card! Champions Day at Sha Tin Racecourse, featuring the Champions Mile, QEII Cup and Chairman’s Sprint Prize. Look for HK-Sha Tin on the International section of your Track List. Please note, due to time zones, the race will be contested on Sunday, April 28 in Hong Kong and Saturday, April 27 in North America. Log In and register. You must register to be eligible. Registration opens Thursday, April 25. Bet the Hong Kong Champions Day Card from Sha Tin on Saturday, April 27. For every bet you make, you’ll receive 10X Rewards Points. Bonus Points will be deposited into registered customers’ accounts by 5:00PM ET on Tuesday, April 30, 2019. Offer valid Saturday, April 27. Customers must register for Contest to be eligible. There is no fee to register. Registered customers will receive 10X XB Rewards Points for all bets made on Sha Tin. Bonus Points will be deposited by 5:00PM ET on Tuesday, April 30, 2019. Wagers that are refunded or canceled do not count towards this promotion. Participants must have an Xpressbet account in good standing to qualify for the promotion. Only wagers made through a participant’s Xpressbet account are eligible.